ThaOvaground.com has been going through some changes but we're still moving. It was a very productive 2016...dope projects were dropped. We even got some coverage from some other sites last year. 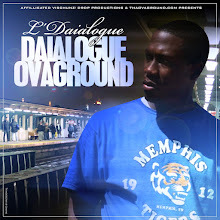 But, even though alot of folks have left the blog world...ThaOvaground.com has been going for 10 YEARS STRONG!!!!! So, thanks to everybody that has commented, shared and/or followed the blog from all of its incarnations. So, check us out this year mane. We are gonna do it BIGGER AND BETTER!!!!! 2DEEP which consists of High Ruler King Cane & Pharoh Blac Prince L’Daialogue DiCaprio are releasing their latest project entitled Man (I.Am.A.Man). The project is produced entirely by MiZUnderstatistic and is another musical ride through the avenues and boulevards of their hometown Memphis, Tennessee. With the singles, “Anyways Errday”, “Money Is The Mission” and the powerful title track “I.Am.Man”, this album is sure to be a certified street classic. The tracklisting & link is below. 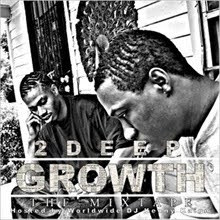 Memphis emcee duo 2Deep (High Ruler Warlord King Cane & Pharoh Mista Blac Prince L'Daialogue DiCaprio) has put out alot of music throughout the years and they are rounding out 2016 with a new project titled 2Deep4Keeps.com. 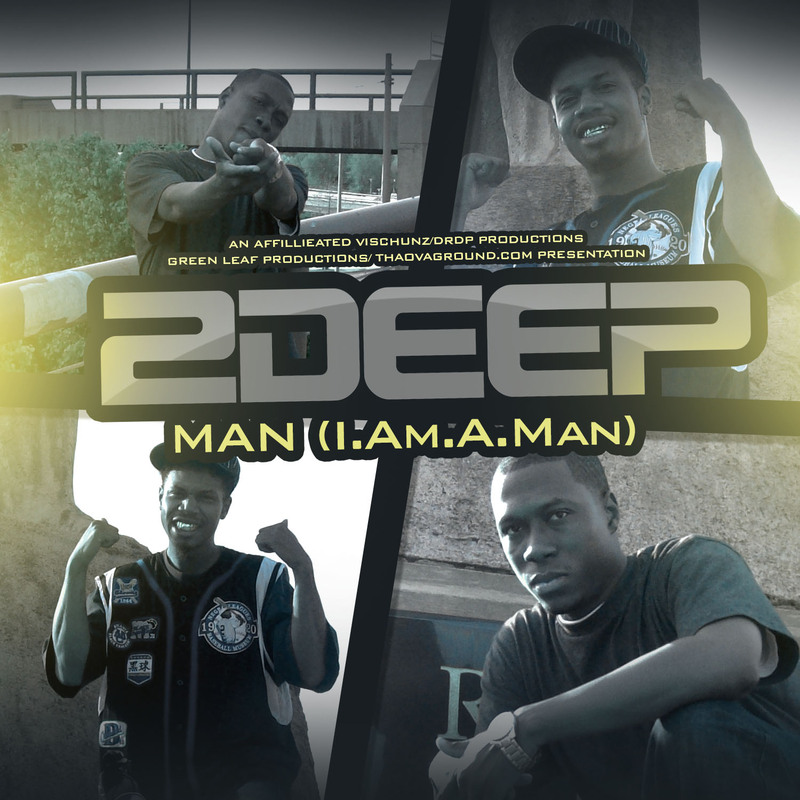 This promotional project is compilation of original songs & remixes from various 2DEEP projects over the years leading up to their next full length project MAN (I.Am.Man) COMING VERY SOON!!! Check it out. The link is below. 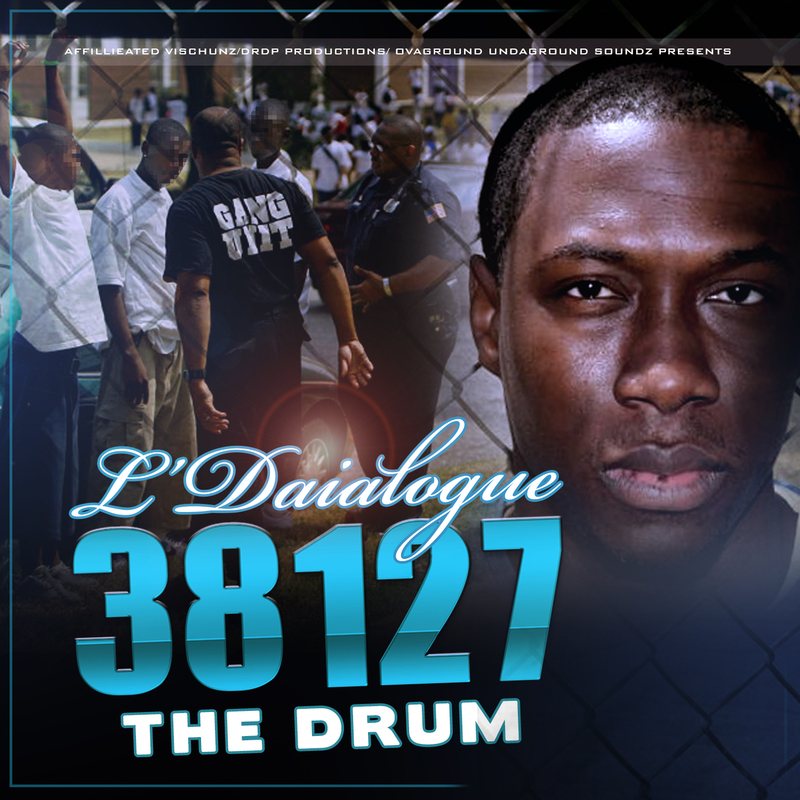 3 8 1 2 7 The Drum is the third installment of L’Daialogue’s 3 8 1 2 7 series. The project is produced entirely by in-house producer MiZUnderstatistic. The project continues in the tradition of his 3 8 1 2 7 projects with older lo-fi inspired soul-based production with an emphasis on dope lyrics. 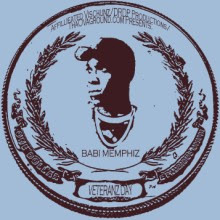 With introspective cuts like “In Crowd”, “Lil RICO” and “See Things Different” set alongside harder cuts like “Southern Heritage Clazzik ‘16” and “Al Jazerra”, 3 8 1 2 7 The Drum takes you on sonic ride down his old neighborhood in Memphis, Tennessee in a grandiose 808-based fashion. 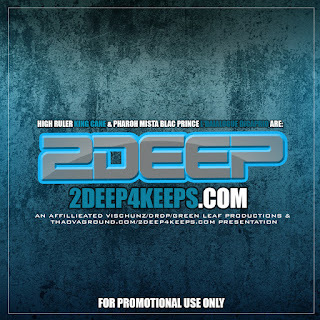 The project features High Ruler King Cane (2DEEP), Babi Memphiz NKA Mac Head and Geechie Boy Nailz with production from On1 Ne, Rick Flare and Remix God Suede. Check out the streaming links below. 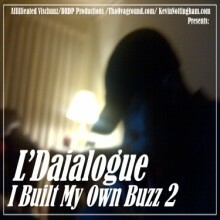 Download link is on Bandcamp!!! Stream it or download it NOW!!!! 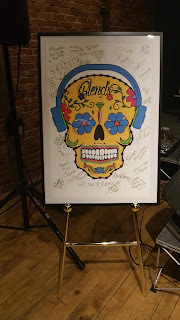 A few weeks ago, I participated in a beat showcase in Los Angeles put on by BLENDS sponsored by Roseville Music Group headed by producer Illmind. 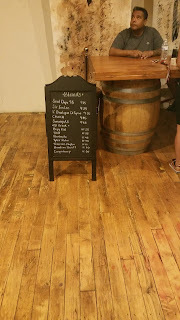 Here's some video and pictures from that event. 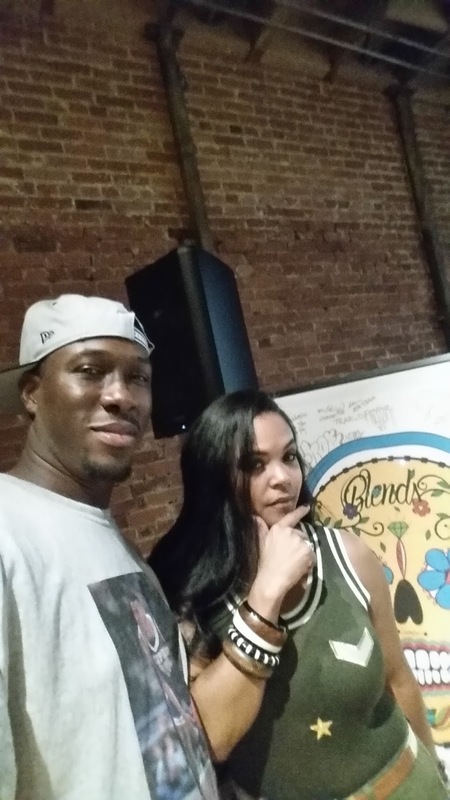 Shouts out to Stacy Lemus and Professor KG for hosting this event. Photos by @Mavthe3rd. What's good? 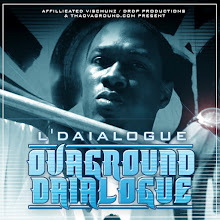 ThaOvaground.com is back in full effect with NEW music on deck. 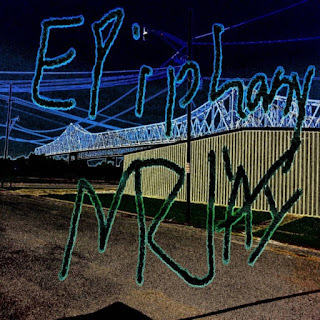 Up to bat is Tygah Woods' founder & Baton Rouge native Mr. J'ai with his latest release EPiphany: Moments Before Clarity. 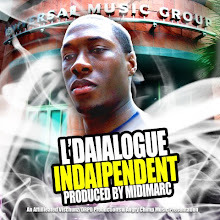 In the aftermath the deadliest summer Baton Rouge, LA has ever experienced, Mr. J'ai offers a heartfelt inspirational hip-hop album to motivate, comfort, and provide clever insights to the people coping with these trying times. This project is giving inspiration to the streets of Baton Rouge, Louisiana and J'ai's lyricism shines through perfectly. 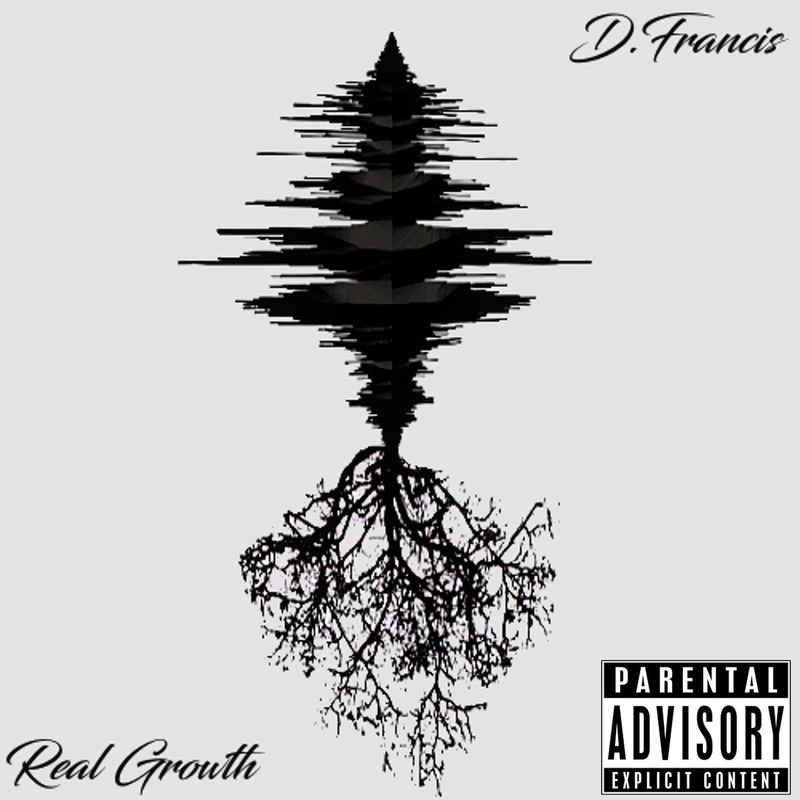 This project has production/engineering & features from D. Francis, Geoffery "G" Griffin, Ron North, Scott Dream, L'Daialogue DiCaprio, DJ Mizunderstatistic, Inner Recess Studios, Mr. J'ai, and Kevin Mclin. Definitely check out the tracklisting after the jump and download the full project on Mr. J'ai's bandcamp NOW!!!! The new music just KEEPS coming in!!!!! 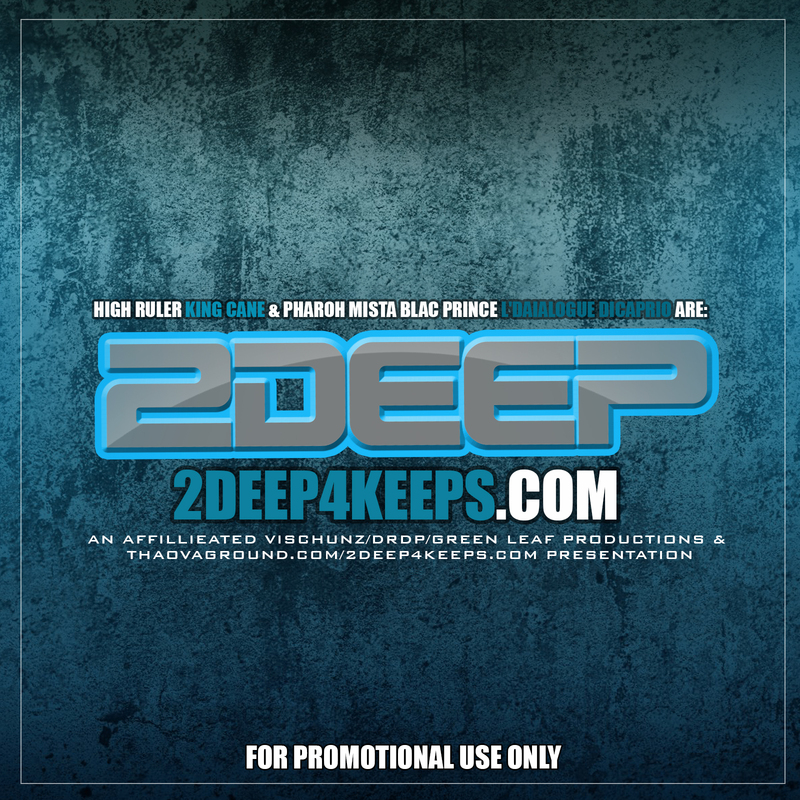 Here are 2 NEW tracks from Tygah Woods' affiliates' Alfred Banks & Mr. J'ai. The first single is from Alfred Banks titled Got These?, produced by CZA and the second is from Mr. J'ai titled Everyday feat. CJ, produced by Ron North. Both of these tracks are BANGERS with 2 distinctive flavors. Banks, coming fresh off his European tour and starring in a Volkswagon commercial has a slow stomping CZA banger in his track Got These? while J'ai's Everyday feat. CJ has an inspirational upbeat tone a soulful Ron North production. Run these tracks back to back alllllll this week mane and check the links up top!!! 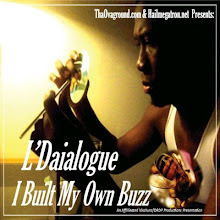 Back at it with ThaOvaground.com and a few days ago a cold project came through my email. 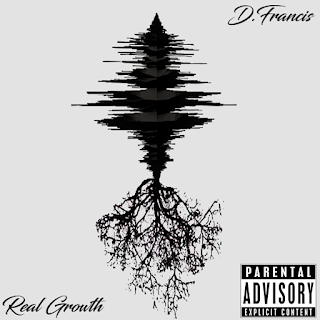 Of course it had to be D. Francis of the Tygah Woods fame with his latest project titled Real Growth. 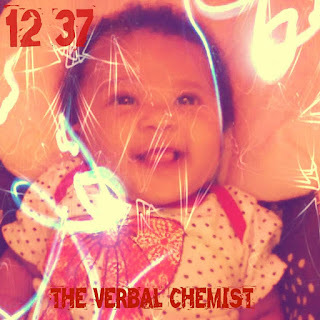 Labeled by Mr. J'ai as "the most consistent Tygah Woods member", this project is a very introspective set dedicated to the memory of his uncle Sam Richard James II and in the words of D. Francis "This Is My Realization On Life And My Personal Ups & Downs...This Is The Real Growth LP"
Here is some new instrumental heat from South Carolina's own beat extraordinaire Midi Marc titled Summer Heat. Its been a while since you've probably heard from Marc but as you can see he's still creating some VERY dope soulful music. This mixtape is driving down the block, washing your car, straight cookout music. You gotta love it! Click the soundcloud link above and stream away. You'll be glad you did. You're ready to start your Monday off proper? Why not do it with this NEW Tygah Woods project I have here. They are definitely friends of ThaOvaground.com so check out the write-up and links below. The streaming link will be available on 6/6 and the downloadable version will be available shortly thereafter. For many groups especially in rap, the years of travelling, recording and literally being around the same people for such an extended time causes tension and is usually the underlying cause of many legendary breakups. But with the New Orleans, Louisiana based supergroup Tygah Woods, their definition of being a group as a loosely formed collective has worked just fine for them as they come close to their 10th year in existence. And now they are back at it with their latest project entitled Tygah Woods Radio. 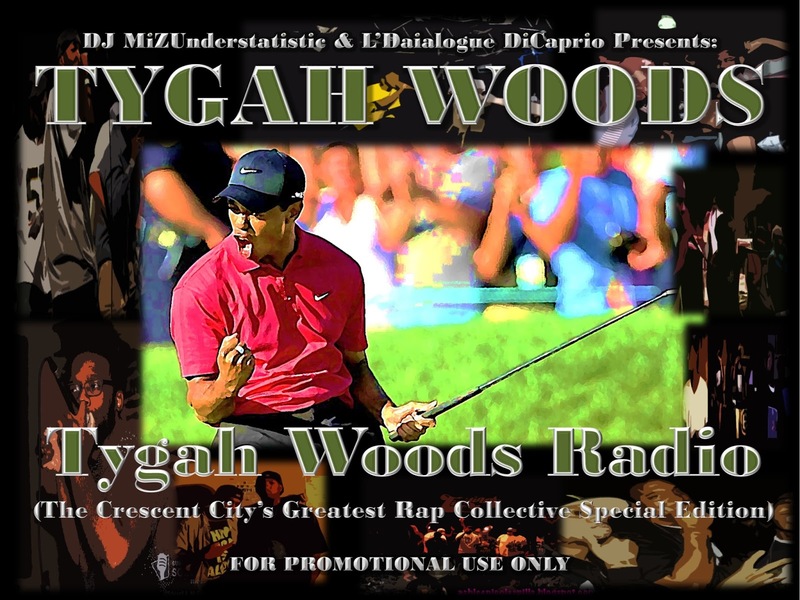 Tygah Woods Radio is inspired the internet radio show ran by Tygah Woods’ member D. Francis a few years ago. 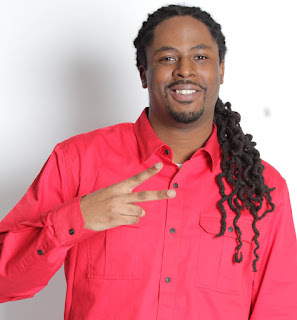 His radio station then which is the basis for his new station Nolineradio was amongst the first in premiering and supporting cutting edge independent artists in the Southern region in general & New Orleans area specifically. 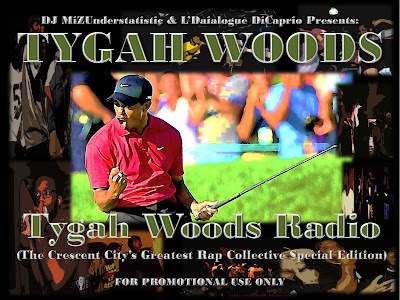 Now, as we approach the summer 2016 it is time for the world to see what the whole collective has been working on since their critically acclaimed projects, Tygah Woods Invitational (Before The Masters) in 2014 and Go Hard Mixtape in 2009. Mr. J’ai, J-Dubble, Blaze The Verbal Chemist, D. Francis, Slangston Hughes, Lyriqs The Lyriciss (now known as Alfred Banks), DJ Mike Swift, Rusty Lowdown the 6 Million Dollar Hypeman and Wes Beez are said to be the greatest group that the Crescent City has ever seen and Tygah Woods Radio is a testament to that statement. The project is presented and mixed by DJ MiZUnderstatistic & L’Daialogue DiCaprio who are also affiliates of the Tygah Woods collective. New Orleans' wordsmith, Tygah Woods' member and the self-proclaimed "Connoisseur of Fine Rhyme" Slangston Hughes has just released his OFFICIAL maxi-single for his hot new track "Champion Song". 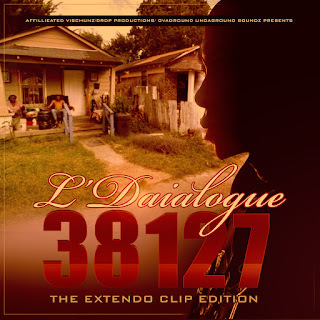 This maxi-single features Kataalyst Alcindor & L'Daialogue DiCaprio on the vocals and remixes produced by N.O Bricks, Fo' On The Flo & MiZUnderstatistic. Cop the maxi-single below at Slangston's bandcamp page and be on the lookout for his full length project coming later this year. 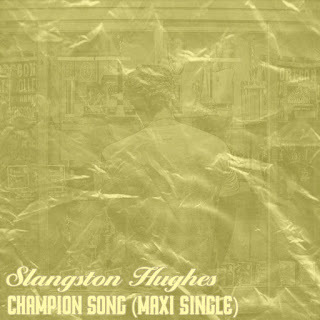 Also, check out the official CHAMPION SONG video below too. What's all the way good mane? We're still getting it on over at ThaOvaground mane. We got some changes coming soon but for now, we're still rocking with the old interface and site hosting. 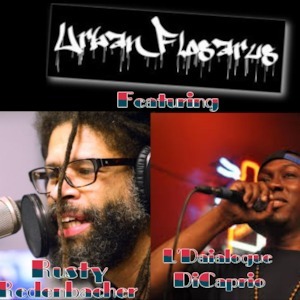 But yeah...Moose Harris' radio show URBAN FLOSARUS RADIO had L'Daialogue on the show a few weeks ago along with Rusty Redenbacher. Now, we're finally posting it (humble apologies Moose lol) but we're well on the way to gaining 100+ listens and breaking a few records over at Podmatic. So, we will enclose the link below. For the first time in a long time, I am able to have not one, but TWO special guests for this episode! In the first hour, Indianapolis Music Legend, Artist, DJ, etc RUSTY REDENBACHER blesses us with a 30 minute mix entitled "Hip-Hop Heaven (in light of the recent passings of Hip-Hop Legends, both in 2016 and previously). 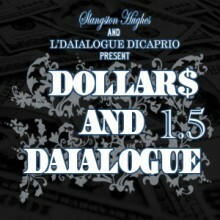 In the Second hour, I have music and an interview with Memphis "InDAIpendent" MC and Businessman L'Daialogue DiCaprio. We talk about his extensive discography, his latest project, and his view on making things happen in this industry. DOWNLOAD LINK & TRACKLISTING IS BELOW!!! CHECK IT OUT!!! Part 2 - DJ Rusty Redenbacher Mix - "Hip-Hop Heaven"
Memphis, Tennessee lyricist L'Daialogue DiCaprio is back at it again with his award-winning DJ, DJ R-Tistic and his third installment of his Initiate.Movement series titled Initiate.Movement 3. 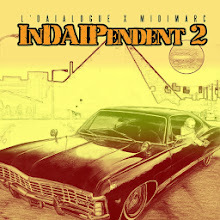 This project features High Ruler King Cane (2DEEP), Mikal Stands, The League (P. Cool + Mitchy Mitch) & Iceberg Theory. This project also features production from MiZUnderstatistic, Bazooka Joe and Drumboy. Check out the project now EXCLUSIVELY STREAMING on Audiomack (and is now FOR DOWNLOAD ON BANDCAMP). Download it NOW!!!!! Reba's Furst Born (ASCAP) unless otherwise noted. We're about to take it back to some New Orleans based boom bap rap!!!! 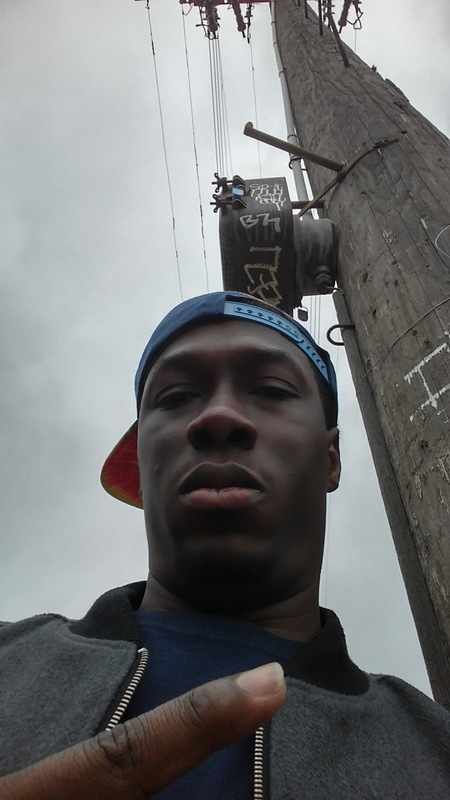 Here is lead single titled Leaderless from New Orleans' emcee Lyrikill from his upcoming album "Eat 2: Steaks Iz High" The project will be produced entirely by Kid Infamous piggybacking off their critically-acclaimed project Eat that was released last year. It's sounds like its gonna be a cooooooold summer. But everybody eats B!!! 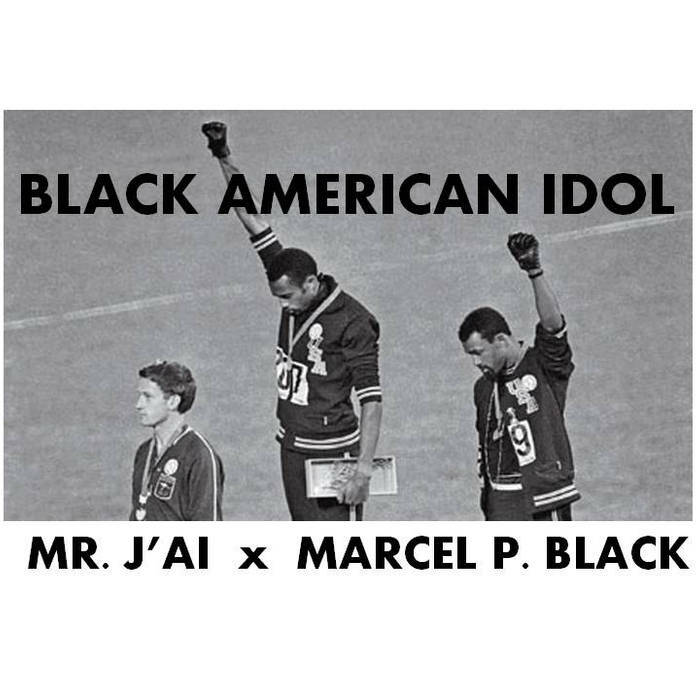 Baton Rouge emcee Mr. J'ai is coming off of Spring Break 2016 with a powerful new single titled "Black American Idol" featuring Marcel P. Black. 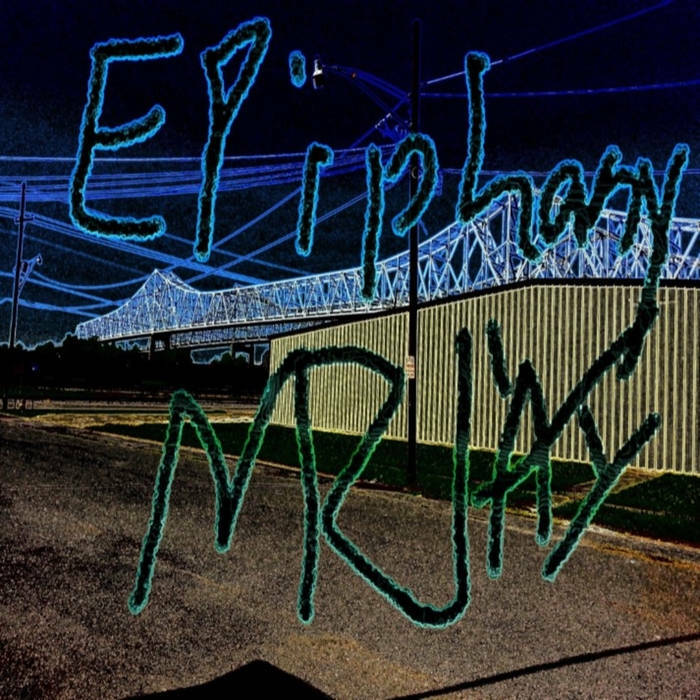 The track was produced by AWNP Beats and is the lead single off of J'ai's upcoming project EPhiphany: Clarity 2.0 that's coming VERY soon. Check it out NOW!!!! It's Ovaground certified!!!! Alfred Banks (formerly known as Lyriqs Da Lyriciss) is having a heck of a 2016!!!! He's been voted by Complex as one of the Top 10 emcees from New Orleans and is set to headline his own tour (The Beautiful Tour) in the next few weeks. But even before these things pop off, Banks has just dropped an EP titled A Beautiful Prelude EP produced by CZA. 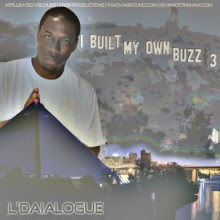 The 3-track EP has been making its rounds (even being featured on his emcee kindred spirit Charles Hamilton's website) and we here at ThaOvaground.com is up next on deck to feature this project here. You can get the project anywhere but when ThaOvaground stamps your project, it's DEFINITELY official. Check out the link below and make sure you leave some comments and let Alfred Banks know what you think about it. 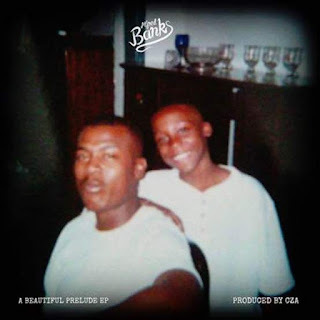 A Beautiful Prelude EP chronicles the pain and aftermath of Alfred Banks' brother Orlandas Banks' death after battling Schizophrenia. As Alfred prepares for the funeral, he writes a heartfelt letter & reminisces on all the good & bad times they shared. This project caught the attention of XXL Freshman Charles Hamilton & he debuted it on his official website. Alfred plans to help shed a light on such a stigmatized topic in our society and reach out to others who are experiencing the same struggles everyday. 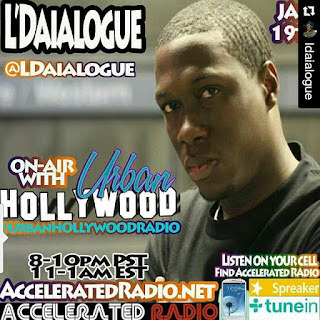 Check out the latest track from L'Daialogue reworking Kanye West's "No More Parties In L.A" to "North Memphis Parties In L.A" merging the worlds of the West Coast through the eyes of the North Memphis emcee. Stream it now on Soundcloud and be on the lookout for his latest project, Initiate.Movement 3 coming very, very soon!!! Last night I was kicking with my folks at Urban Hollywood Radio promoting the Initiate.Movement 2 project. It was a very cool interview and everybody tuned in from all over so that was cool. Cop the Initiate.Movement 2 junt and be on the lookout for Part 3. What up R-Tistic??? Lol. Check out the playback starting at 43:40 so get stream on mane!!!! really a cassette tape that was had mixed and scratched songs on it. 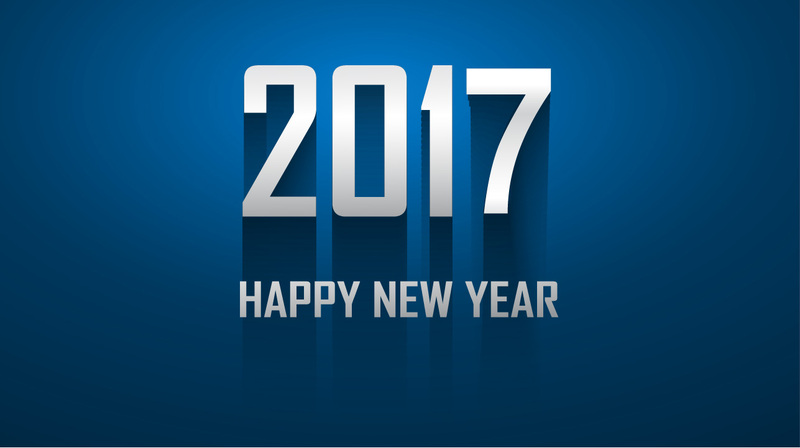 Happy New Year to all ya'll!!! 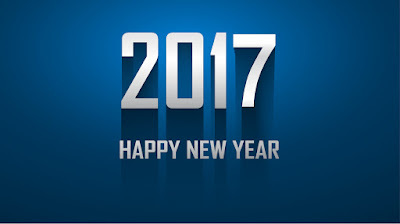 ThaOvaground.com is doing better and better year over year and 2016 is no different! Usually we kinda do an ode to the year before giving a short rundown of the accomplishments from the camp but this year...we just gonna keep moving but in silence. We wanna let our moves talk. We got a new interface coming soon and we have some new goodies coming up to make the site more interactive. 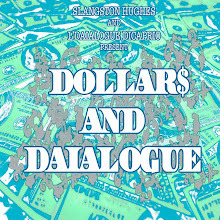 Also, L'Daialogue has some new music coming soon so you definitely gotta be on the lookout for that. So, watch us grind this year and catch the tally at the end of 2016. Stay tuned and thanks for your support mane. 2016 is gonna be a great year!!!!! 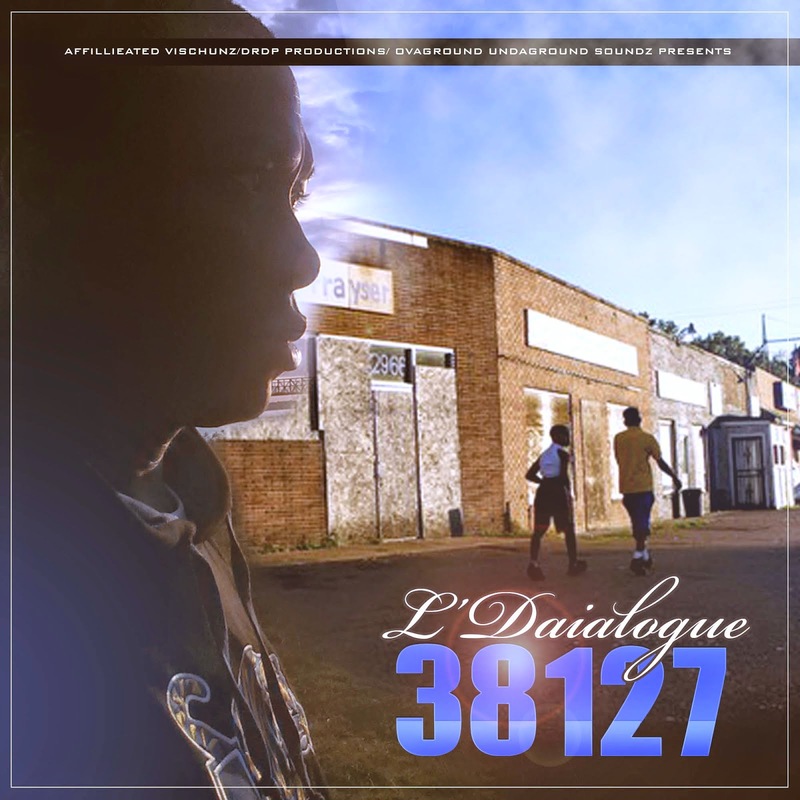 As a sort of extended version of the project L'Daialogue dropped in 2014, 3 8 1 2 7...L'Daialogue is coming back around again with his latest rework of that project titled 3 8 1 2 7 The Extendo Clip. 3 8 1 2 7 The Extendo Clip is an ode to his neighborhood Frayser (as known as "The Bay Area"). 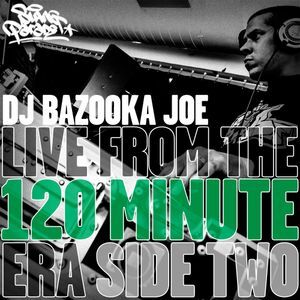 The project is produced ENTIRELY by in-house producer MiZUnderstatistic with the exception of "Small Town Big City" produced by Rick Flare from The Beat Arkitekz. The project is also inspired by the old-school vintage flavor of a bygone Memphis production era utilizing the older analogue sounds and soul samples. 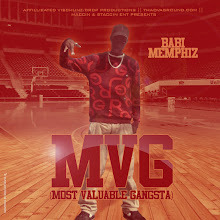 Also, it lends nods to legendary Memphis producers/DJs DJ Sound, DJ Spanish Fly, DJ Zirk, producer Blackout and DJ Squeeky. The project features High Ruler King Cane (2DEEP), Babi Memphiz, Empera Bookie, Rico 2 Timez, O-Bezzle, Snootie Wild and actress Elise Neal. The project is available now on Audiomack, Datpiff AND Bandcamp. Check it out and cop it IMMEDIATELY!!!! 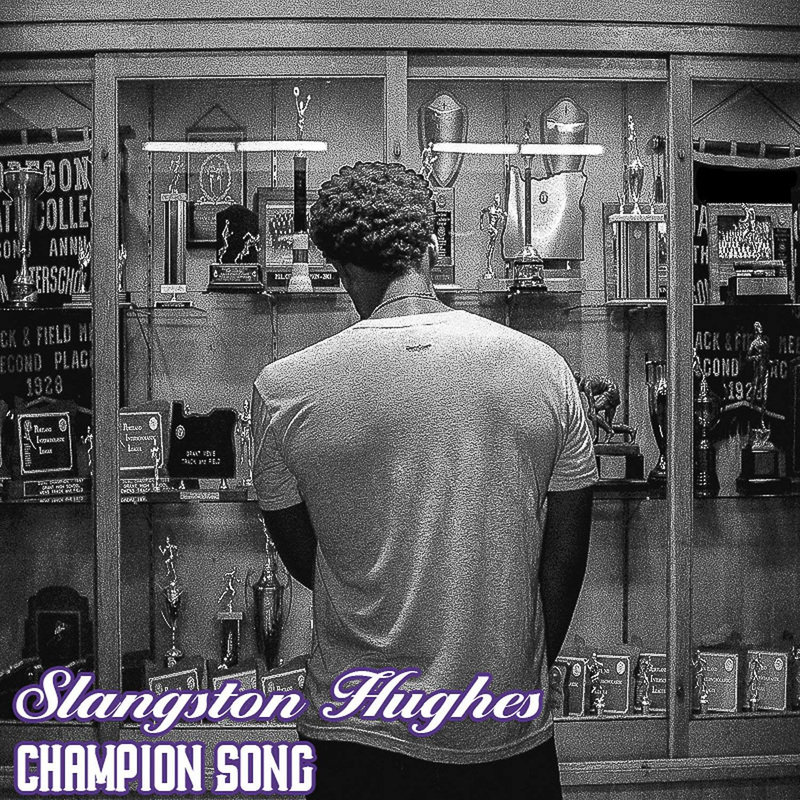 We have some new music from Slangston Hughes who is an old friend of ThaOvaground.com & affiliate of the Tygah Woods collective based out of New Orleans. 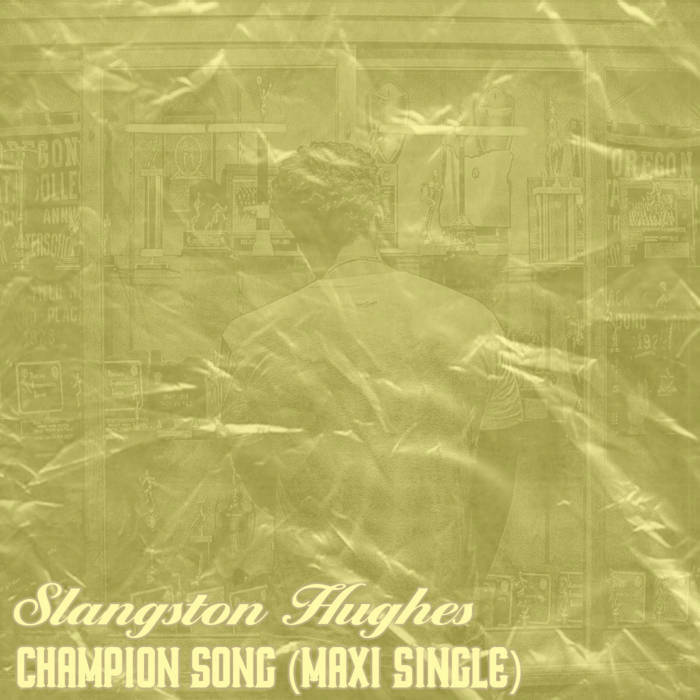 His new track is titled "Champion Song" produced by N.O. Bricks and it is a certified banger!!! 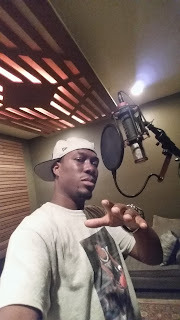 The motivational anthem was recorded in the Crescent City at The Hut Studios and touches on the rapper's position in the hip-hop community. As a veteran in the game Slangston chants, "I got my mind right, spirit right, braving the storm. Victory's in my clutches while I'm singing this song". The lead single propels his momentum with the Spring Forward (EP) set to release later this year. In addition to recording new music, Slangston has been busy performing with live bands Fo On The Flo and MadFro. As a result of his hustle, he was named to New Orleans Local Love Tour sponsored by Revolt TV and provided opening support for Black Milk, Open Mike Eagle and Doomtree. So, peep out the link below and get to clickin mane!!! Let's go!!! 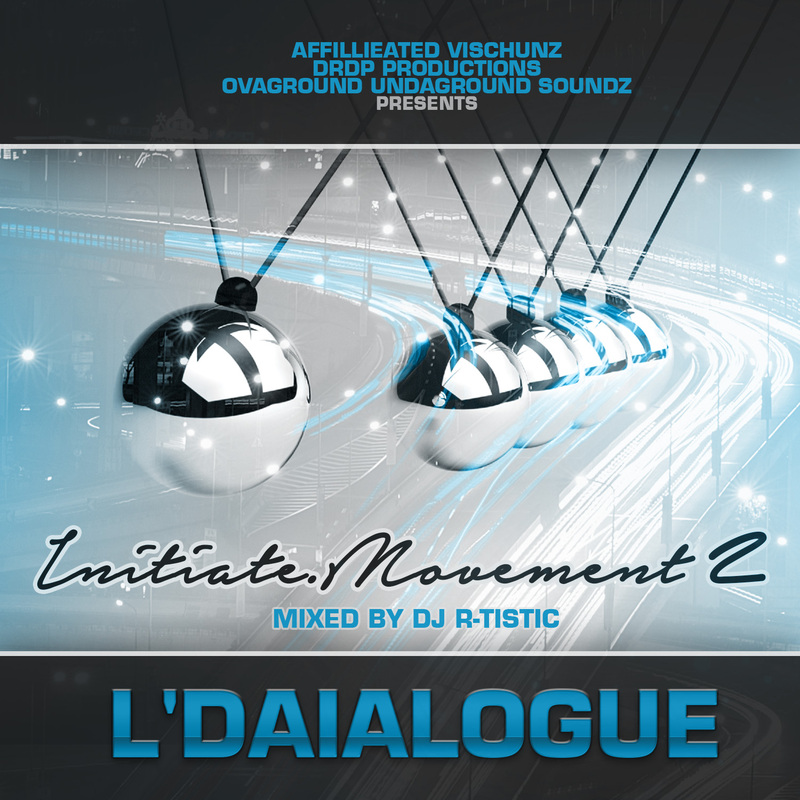 The #trackbytrack releases are over and the project Initiate.Movement 2 is in its complete form. 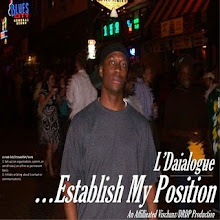 Now, for the streaming fans, the project is on L'Daialogue's Soundcloud page. Stream 'til your heart's content...we'll take those numbers too! For the folks that want to cop the full project PLUS the bonus tracks, they can find them here: https://ldaialogue.bandcamp.com/album/initiate-movement-2 or here: http://www.audiomack.com/album/ldaialogue/initiatemovement-2. DOWNLOAD IT NOW AND ENJOY!!! !